It’s been a while since I’ve written a blog post. As you can likely guess from the title, because you’re smart like that, I’ve been preoccupied with relocating my family from the suburbs of Chicago to the 3rd biggest city in the state of Tennessee, Knoxville. Yes, I’ve been working, but doing the bare minimum to get by. You know how “they” say moving is one of the top 5 or 10 or whatever most stressful life experiences up there with getting married, having babies, changing jobs, and driving in traffic (that last one has to be true, doesn’t it?)? Well… I am here to say, yep, that’s about right. Whew. During our move, over and over again I kept seeing so many business and life lessons I decided to share them in at least a series of blog posts, if not, someday soon, a short book. So I’m starting here and we’ll see where this takes me. We about pulled our hair out over looking for a certain box, when I realized it wasn’t about the box at all. That’s when I found what I was looking for. My wedding and engagement rings were in a super safe place… so safe I thought I’d lost them forever. Two reactions to getting lost during travel; he wanted to be upset, so I let him be. Going from 3000 square feet (plus garage and shed) to 1121 square feet with a family of 4, plus a dog. These and other stories will follow this week. Some may appear as written posts and others as video posts. We’ll see what comes up! What lessons from moving have you learned that can be related to life and/or business? I’d love to learn from your experiences – post in the comments below! Move on to Part 2 here: Tales from Box Mountain: It’s Not About The Box. Thanks for sharing your experience. I will take your advice before I plan my move for next year. Felicia, smart move! 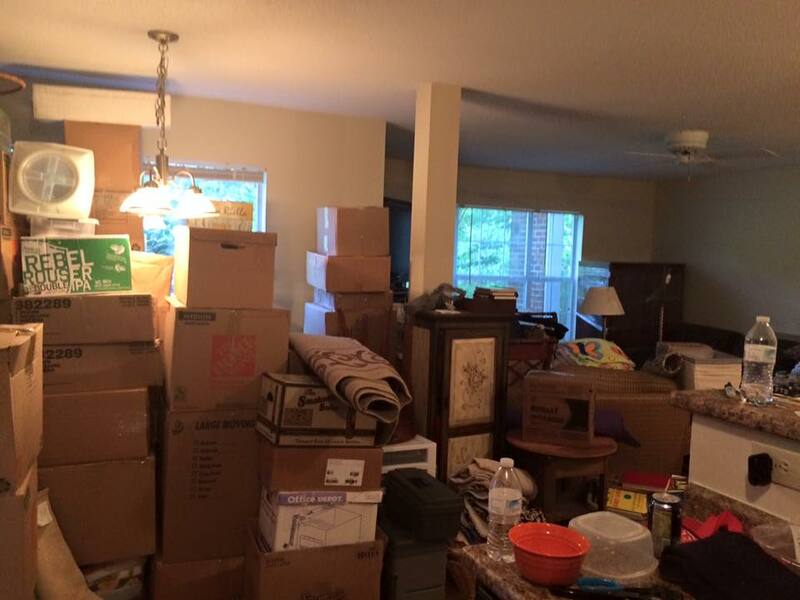 Tip – as I’ve relocated 12+ times I suggest NOT buying any gadgets or household items before you unpack everything! Avoid duplicates… More later. Enjoy TN! You did it! Congrats! We sold our 4-bedroom house in the suburbs and downsized to a 2 + 1 condo (the +1 is condo-speak for small den that you can use as a bedroom) in the heart of downtown Toronto. That move took 6 months of garage sales, craig’s list sales, housing projects/staging (we lived in an older home) and general stress! It paid off though as we sold our home in one day! What have I learned now that hubby and I are in smaller digs, by the lake and very close to work? Lots! But what I’ll share with you is one big mistake I/we made. We went out and bought new furniture in too much of a haste. The furniture that we had in our house was too bulky for the condo. In my excitement to get new furniture we just went shopping. I had dreamed of owning an Ethan Allen couch, and that whole obsession just threw me into a tailspin! I do love my couch though 🙂 The problem was certain lamps we purchased I now see would fit better in another space – not ours. It takes time to really understand your new space and how you want to live in it. So if I had to do it all again, I would take more time in decorating our new space. Good luck with settling into your new home! Thanks for the tweet, Joe!